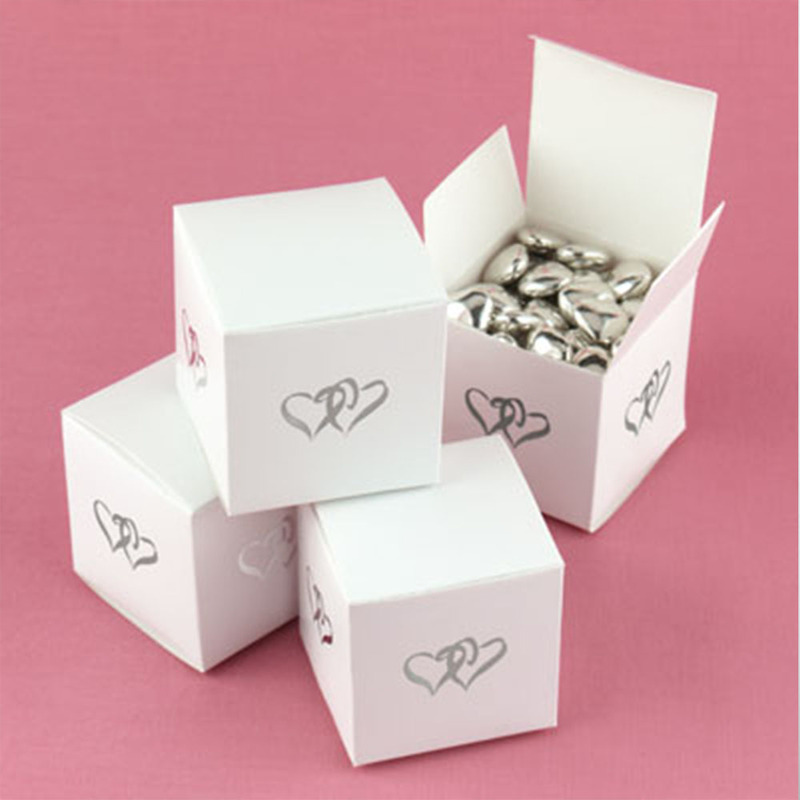 A pack of 50 white boxes with a silver heart design. These gorgeous boxes are perfect for gifts and favors for any occasion. The small boxes are made out of white cardboard which are decorated with a double heart silver design. The boxes come flat packed so that you can fill them with whatever you desire.